Featuring creations by Black artists in the collections of BAMPFA and the Hearst Museum of Anthropology, this exhibition organized by UC Berkeley graduate students imagines the liberatory possibilities of celebrating blackness and belonging. 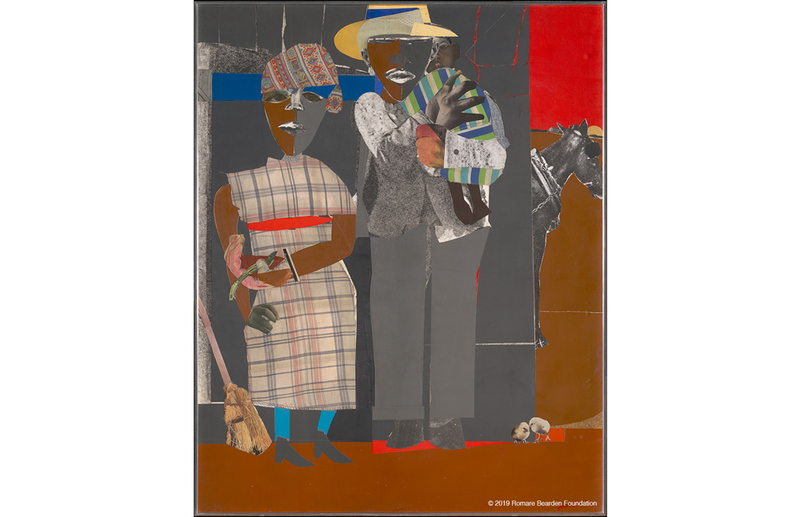 Romare Bearden: Continuities, 1969; collage on board; 50 x 43 in. ; BAMPFA, gift of the Childe Hassam Fund of the American Academy of Arts and Letters, © 2019 Romare Bearden Foundation/Licensed by VAGA at Artists Rights Society (ARS), NY. 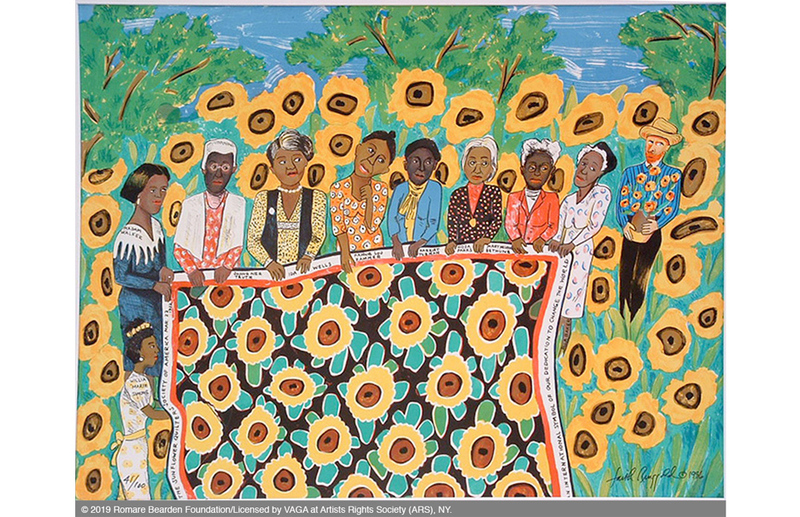 Faith Ringgold: The Sunflower Quilting Bee at Arles, 1996; color lithograph; 20 x 30 in. ; BAMPFA, gift of Moira Roth. © 2019 Faith Ringgold, member Artists Rights Society (ARS), NY. BAMPFA, gift of the Childe Hassam Fund of the American Academy of Arts and Letters. © 2019 Romare Bearden Foundation/Licensed by VAGA at Artists Rights Society (ARS), NY. BAMPFA, Gift of Penny Cooper and Rena Rosenwasser. 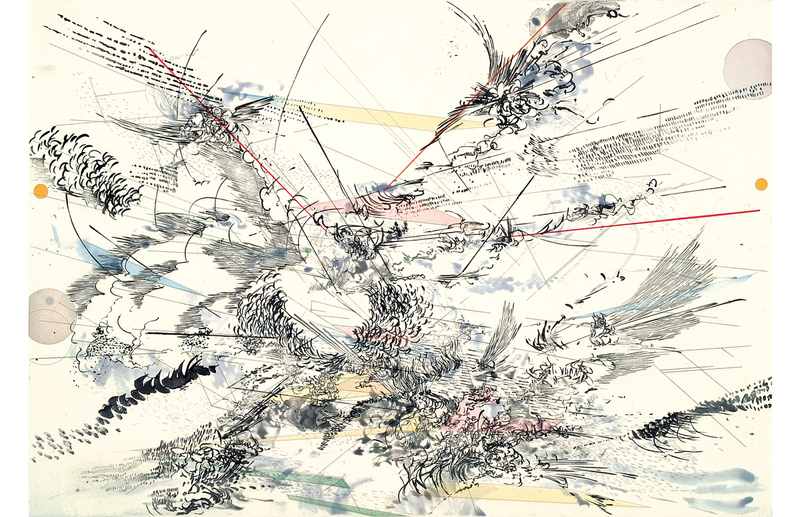 Image: Courtesy of the artist and Salon 94, New York. BAMPFA, gift of Moira Roth. © 2019 Faith Ringgold, member Artists Rights Society (ARS), NY. 27 1/2 x 39 1/4 in. BAMPFA, gift of Tecoah and Tom Bruce. Anticipating About Things Loved: Blackness and Belonging, this program aims for critical engagement around questions of belonging, curatorial possibilities, and the role of institutions. Black culture and museum institutions have often had a negative relationship. Historically, this has included the theft of cultural objects, the appropriation of styles, and the devaluation of skilled practices, as well as the marginalization and exclusion of Black artists from exhibitions and collections. Museums have been implicated in antiblack practices that present racial difference as biological fact rather than social construction, and exclude, marginalize, and devalue Black art, Black artists, and Black life. Recognizing this, About Things Loved: Blackness and Belonging centers a diverse array of Black art in the hope of addressing these questions: To whom does blackness belong? Where does blackness belong? How can blackness belong within the museum? This exhibition highlights the artworks and intergenerational relationships of Romare Bearden, Girma Berta, Chakaia Booker, Peter Bradley, Erica Deeman, Charles Gaines, Dan Halter, Lyle Ashton Harris, Mildred Howard, Margo Humphrey, Julie Mehretu, Kamau Amu Patton, Faith Ringgold, William Rogers, Betye Saar, Raymond Saunders, Lorna Simpson, Hervé Télémaque, Kara Walker, Carrie Mae Weems, Charles White, and Fred Wilson. Most of the artwork was produced by Black artists from Africa and its diasporas, drawn from the permanent collections and archives of BAMPFA and the Phoebe A. Hearst Museum of Anthropology. However, crucially, this exhibition does not intend to define Black art or to limit Black artists to a single aesthetic. Rather, the exhibition foregrounds the richness and diversity that becomes visible when blackness is taken as the norm rather than the exception, proposing the museum as a space of care for relationships of justice, equity, and inclusion. This is the third in a series of annual exhibitions, Cal Conversations, developed in collaboration with UC Berkeley classes. Cal Conversations / About Things Loved: Blackness and Belonging is organized by students Megan Alvarado Saggese, Laura Belik, Ree Botts, Pascale Boucicaut, Jamie Danis, Sierra Edd, Patricia Gomes, Lesdi Goussen Robleto, Leslie Huang, Tory Jeffay, Andrea Jung-An Liu, Angela Pastorelli-Sosa, Delphine Sims, Joel Thielen, and Sophia Warshall in the UC Berkeley graduate seminar Diaspora | Migration | Exile, with Associate Professors Lauren Kroiz and Leigh Raiford, cotaught through the Department of History of Art and the program in African Diaspora Studies. The exhibition was developed, in part, with a grant in support of art history graduate education and curatorial training from The Andrew W. Mellon Foundation.